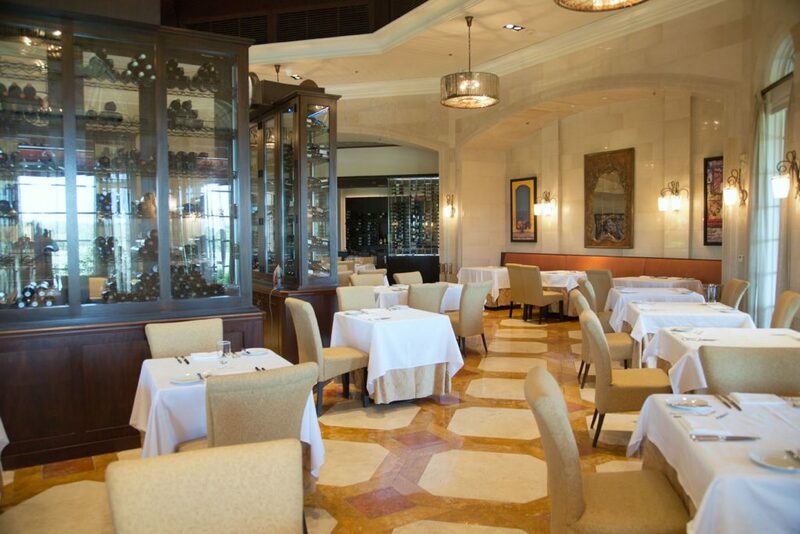 Norman’s Restaurant at the beautiful Ritz Carlton in Orlando is slowly taking the culinary world by storm. 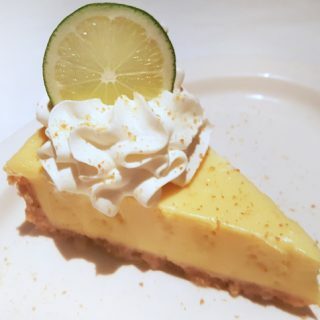 One delicious bite at a time. Of course I’d heard of Norman Van Aken, but If you love food and haven’t heard of the man, check your pulse. He is legendary in the culinary world and his first restaurant in O-Town is proof of his skill and absolute love for food. 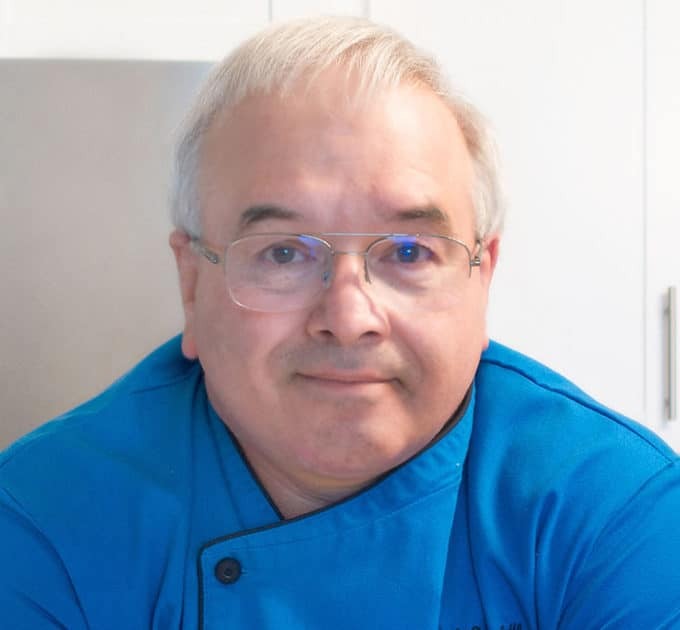 Of course it doesn’t hurt that Chef Van Aken has assembled a world class team of culinary professionals starting with his Executive Chef Andres Mendoza. Chef Andy’s love of food was quite apparent as we chatted about the restaurant, his childhood in Mexico and his love for food. We had in so much in common, but then again good food brings people together. 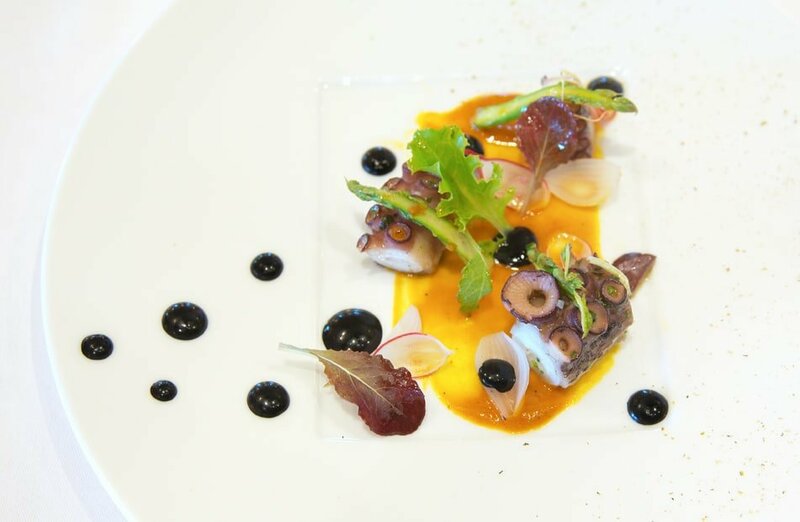 I was treated like royalty at Norman’s Restaurant and the deliciousness started with their tasting menu’s opening star, Portuguese Octopus. If you’ve never cooked octopus, its really not easy. This octopus was perfect, in texture, taste, and tenderness. Served with a squid ink aioli and an Aji Panca sauce it was a gastronomic delight. Next up from the ala carte menu was “My Down Island French Toast”. 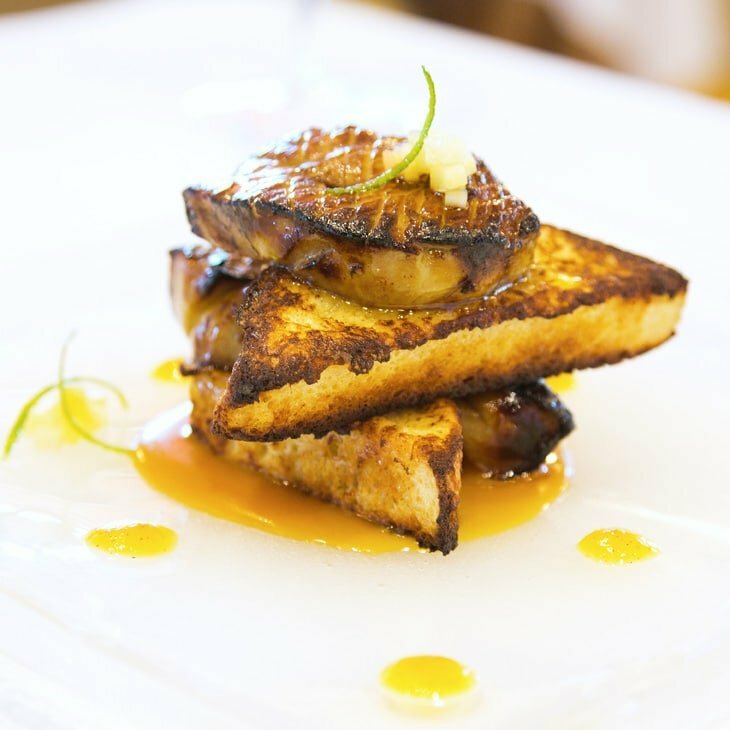 This Curacao-Scented Foie Gras with Griddled Brioche and a Savory Passion Fruit Caramel was unbelievable delicious. I felt like I was in Culinary Heaven with each course…..sigh. 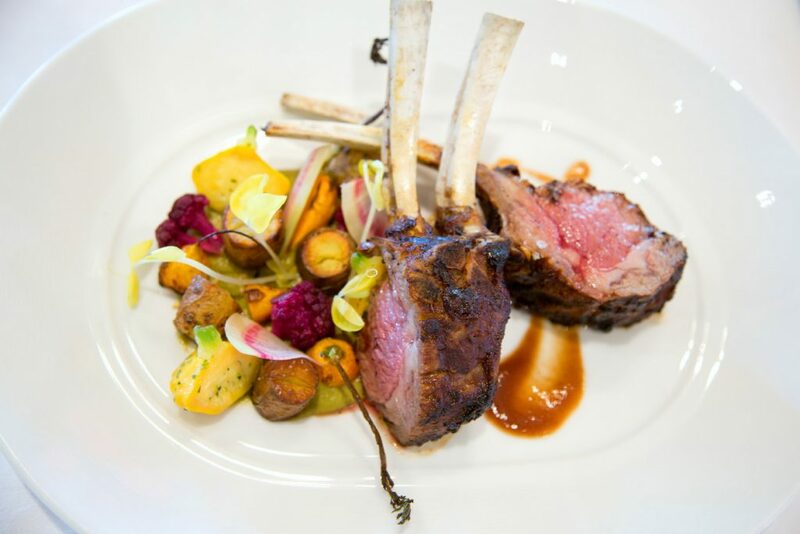 Next we started with the entrees and they hit it right out of the park with the Anderson Ranch Rack of Lamb, with Mole Verde, Patty Pan Squash and Guava & Tamarind Gastrique. OMG, this was the best lamb I’ve ever had in my life. Marinated for 24 hours then fire grilled to caramelize the outside, it was jaw dropping delicious, not to mention a feast for the eyes. Next was one of my personal favorites Florida Cobia. 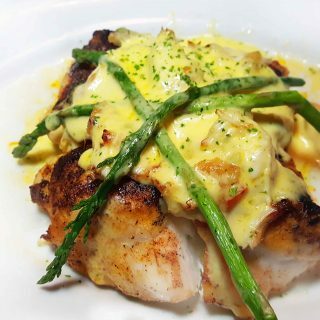 I do love my Fresh From Florida Seafood and Cobia a wonderful fish you rarely see on menu’s. 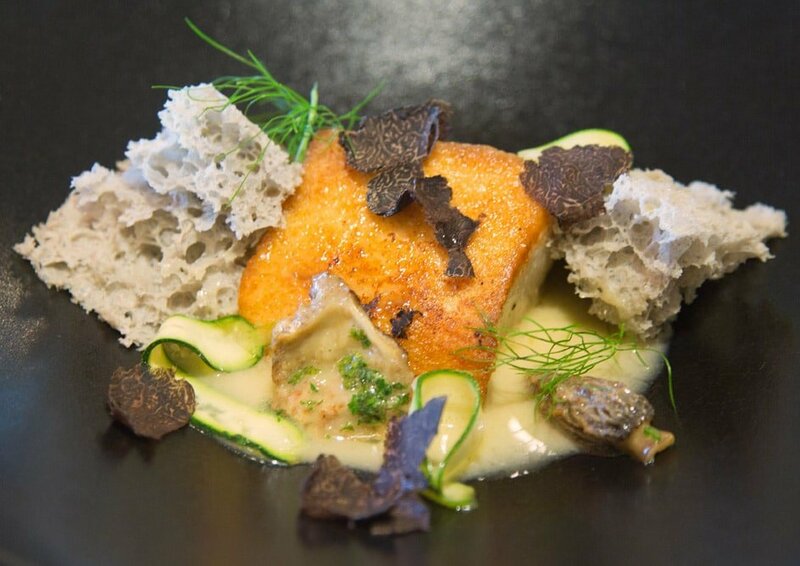 Chef Andy went all out with this creation, searing the Cobia and presenting it with a Huitlacoche Sponge Cake, Truffle Butter, Truffles and Zucchini Ribbons. The flavors were astounding! 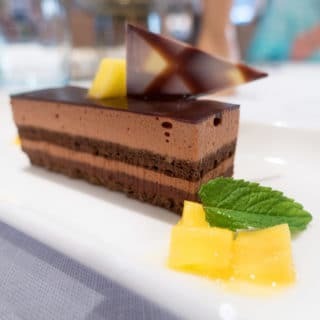 I was starting to get a little full from my culinary adventure at Norman’s Restaurant, but I knew dessert was up next and I certainly didn’t want to disappoint my hosts by not finishing my desserts…lol. First up was Chef Van Aken’s signature dessert his interpretation of Banana’s Foster. I’ll take two please…..sigh. 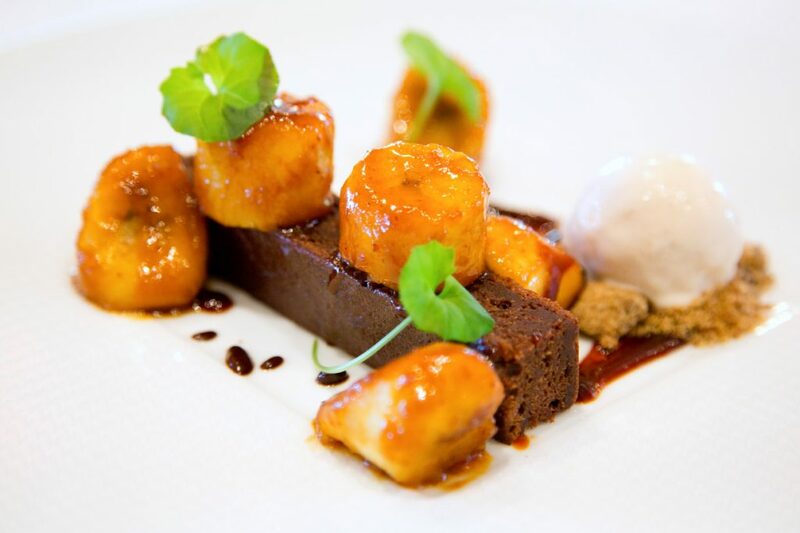 Beautifully caramelized rhum bananas, with a sticky date cake and a chile jelly with a chocolate sauce and pecan ice cream. Last but not least was a new addition to the menu making its first appearance with my tasting was Corn Flan. I told Chef Andy he had my blessing to keep this dessert on the menu…. it definitley got the Chef Dennis seal of approval! 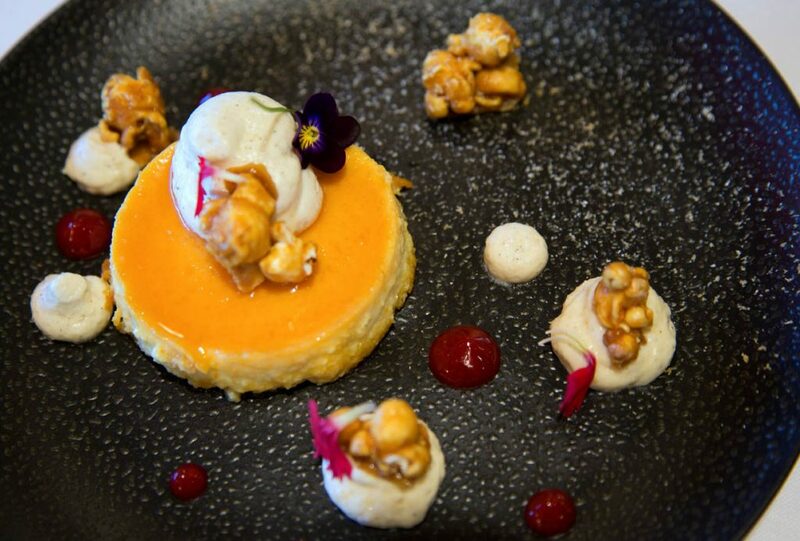 This dessert was a perfect way to end a perfect meal, a creamy not too sweet corn flan, served with a burnt corn spuma, spicy candied popcorn and a raspberry gel was so flavorful and left me feeling satisfied without the guilt. In my books thats the best kind of dessert to enjoy! Food evokes memories and Chef Andy has added his own flair to the cooking at Normans adding love and his experience to the dishes he serves. 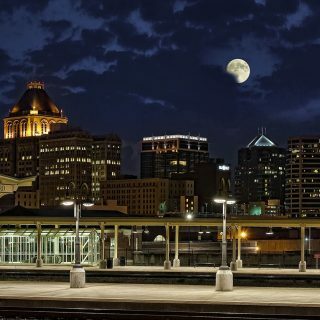 You will absolutely love the food at Norman’s and make sure to tell Chef Andy that Chef Dennis sent you! Go to their website to learn more about Norman’s Restaurant . You can find Norman’s located on the Lobby Level of The Ritz-Carlton Orlando, Grande Lakes at 4012 Central Florida Parkway in Orlando, FL 32837. 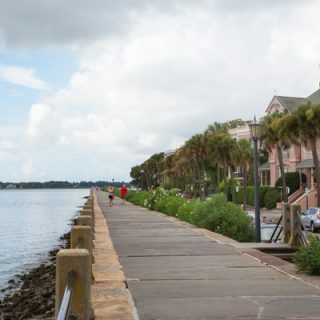 Call for reservations at (407) 393- 4333. Follow Norman’s on Instagram, Facebook and Twitter.